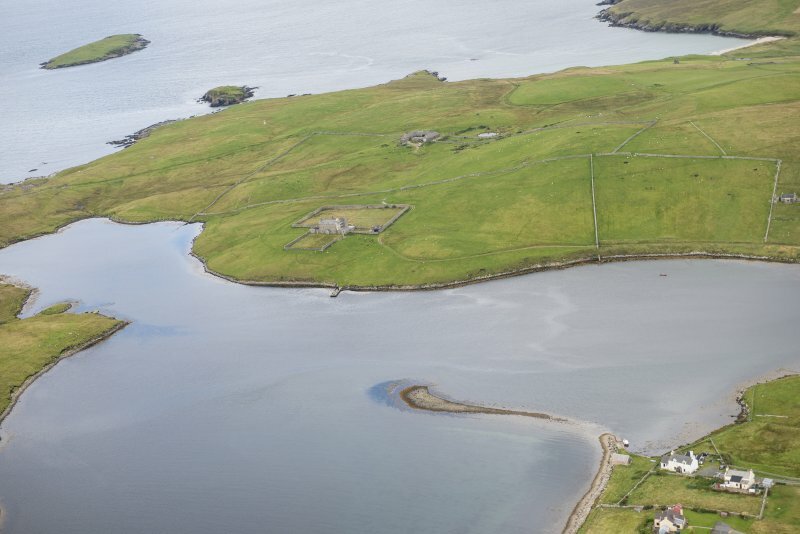 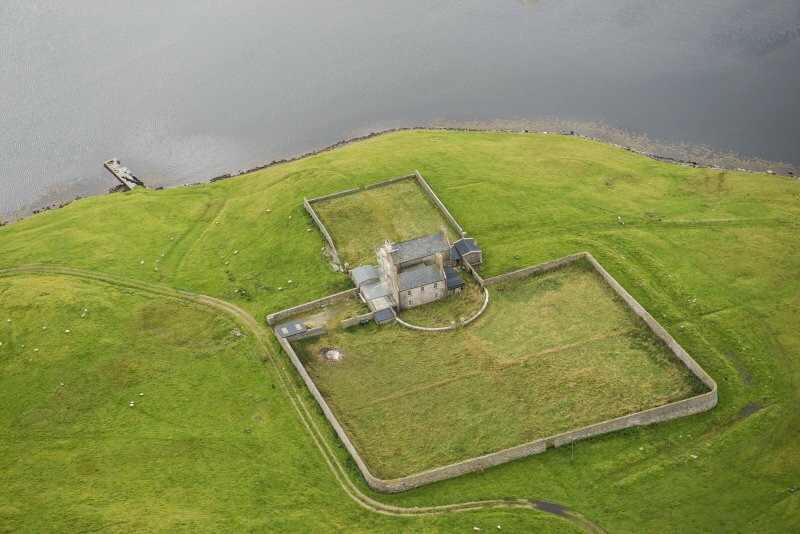 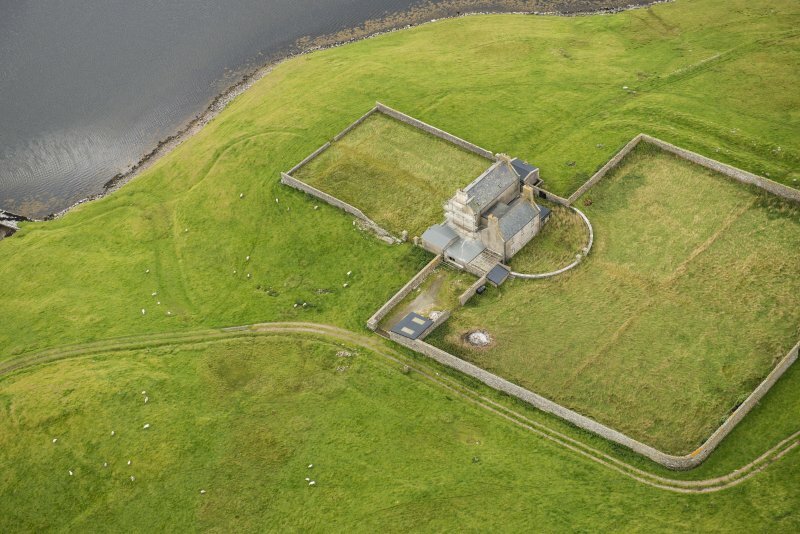 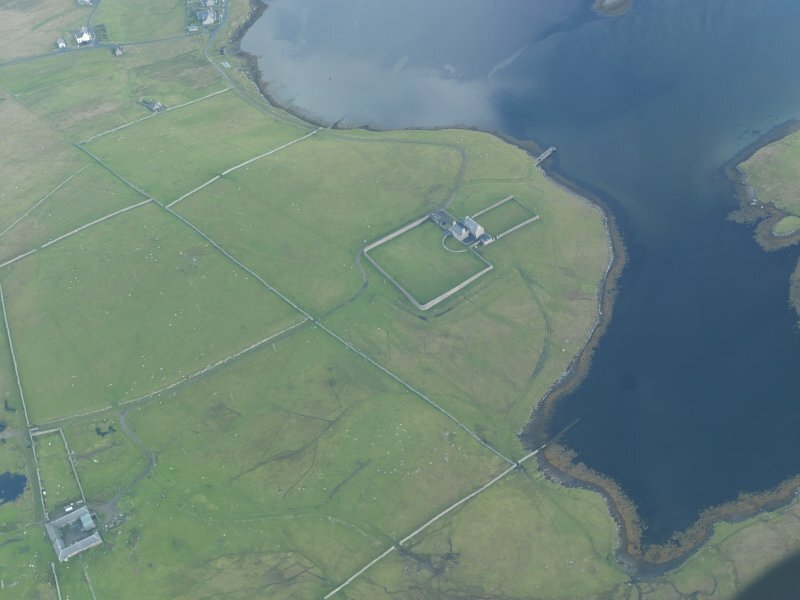 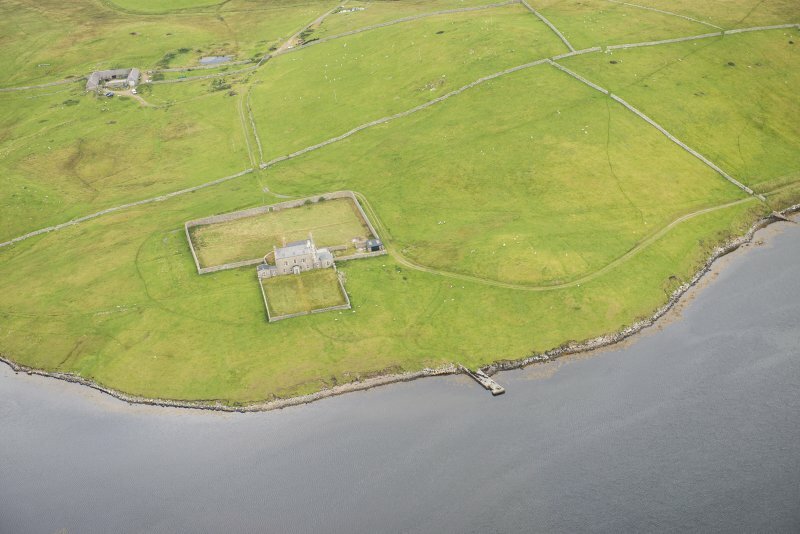 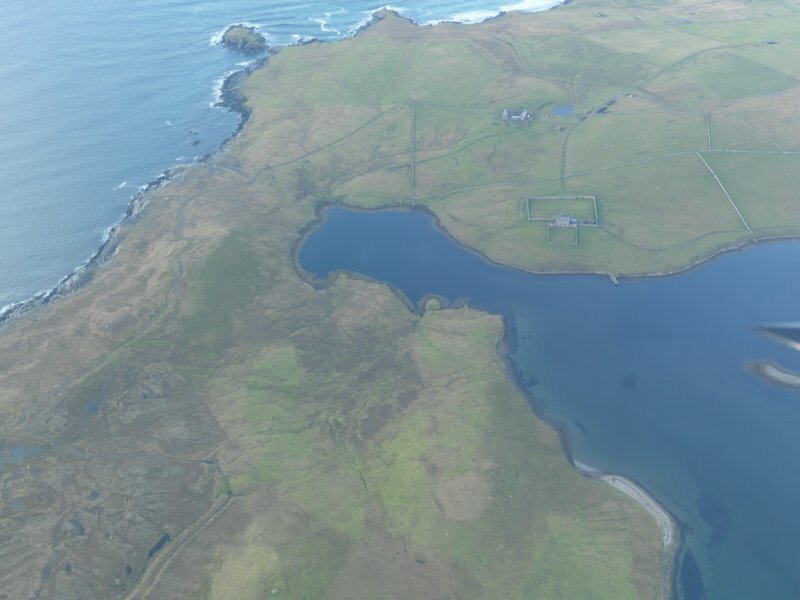 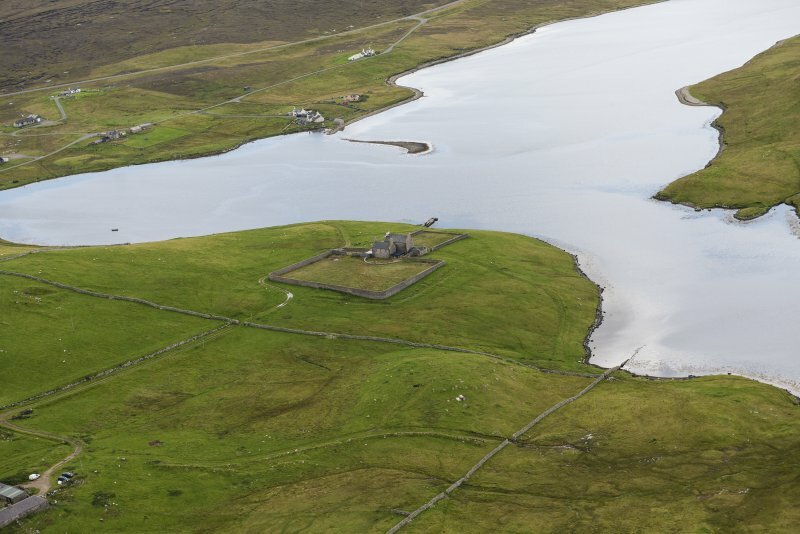 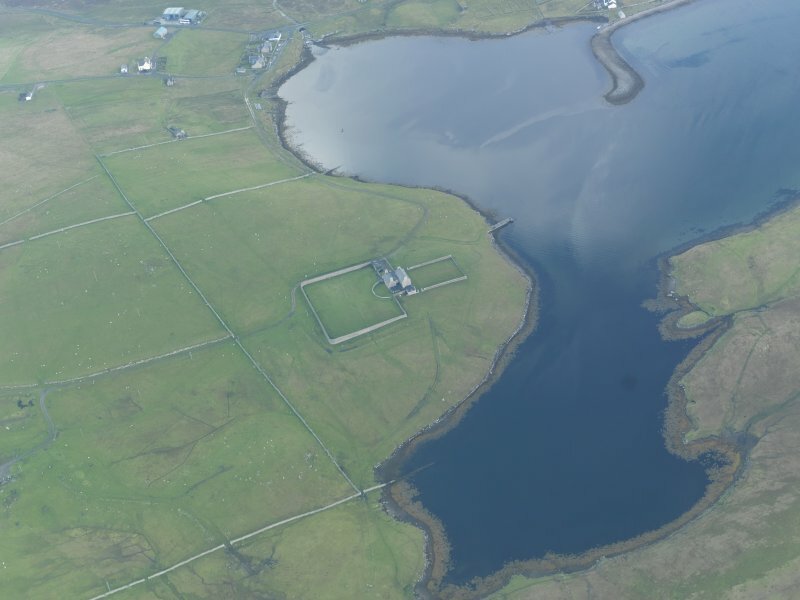 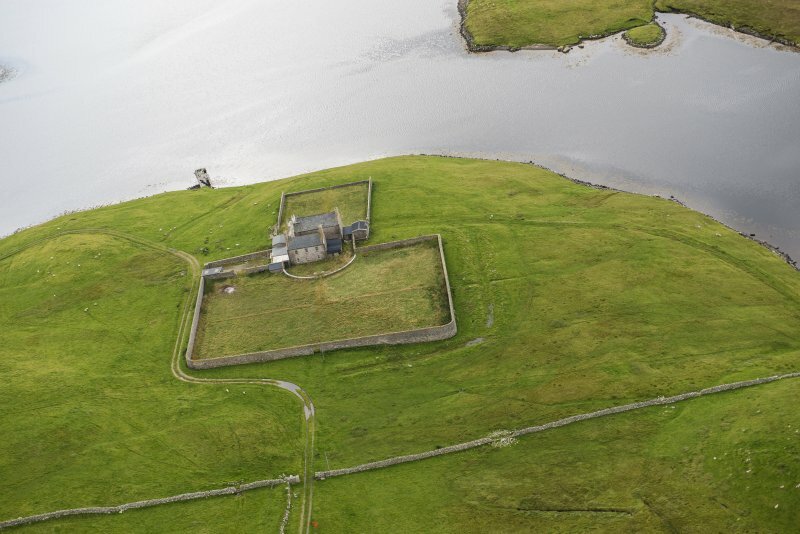 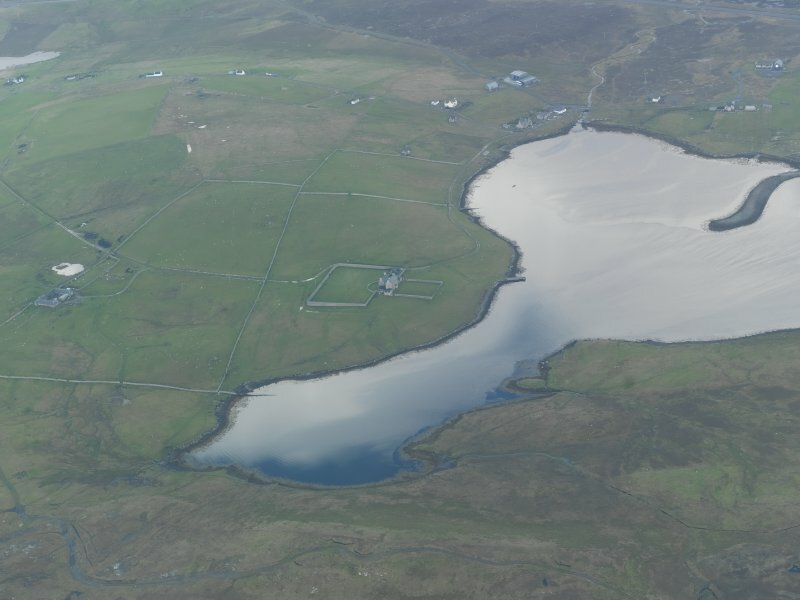 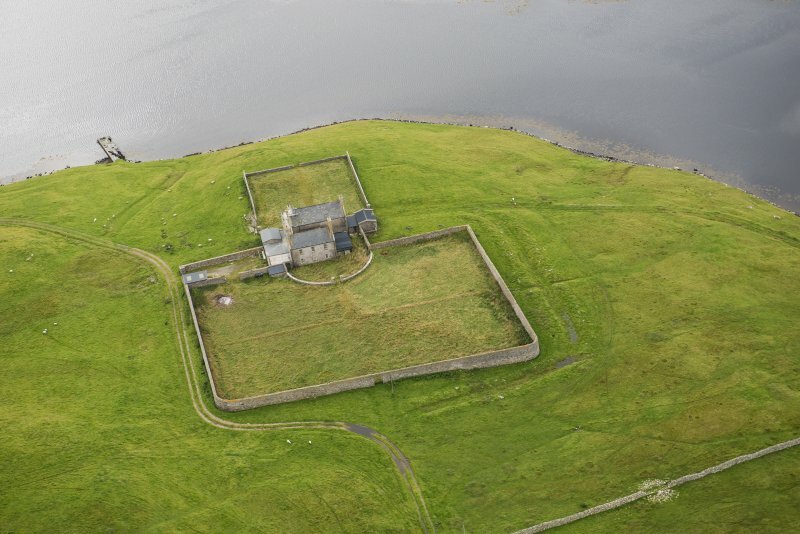 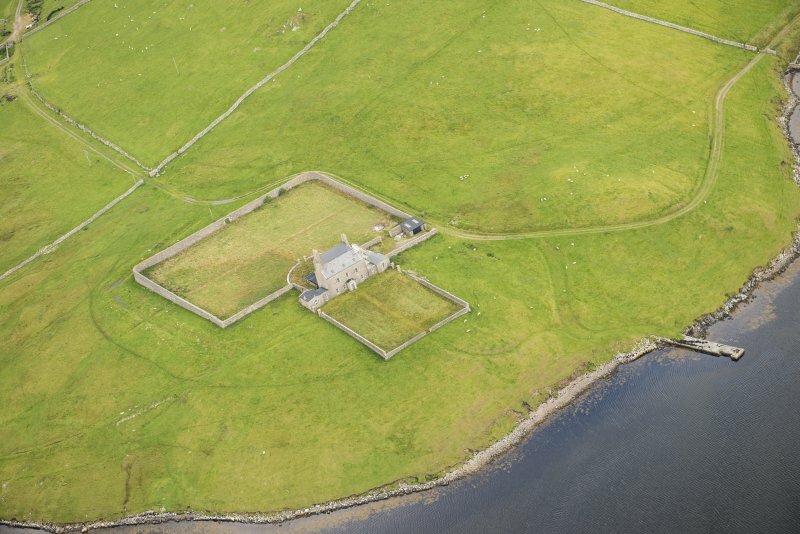 Oblique aerial view of West Sandwick House, North Haa, Unst, looking SSE. 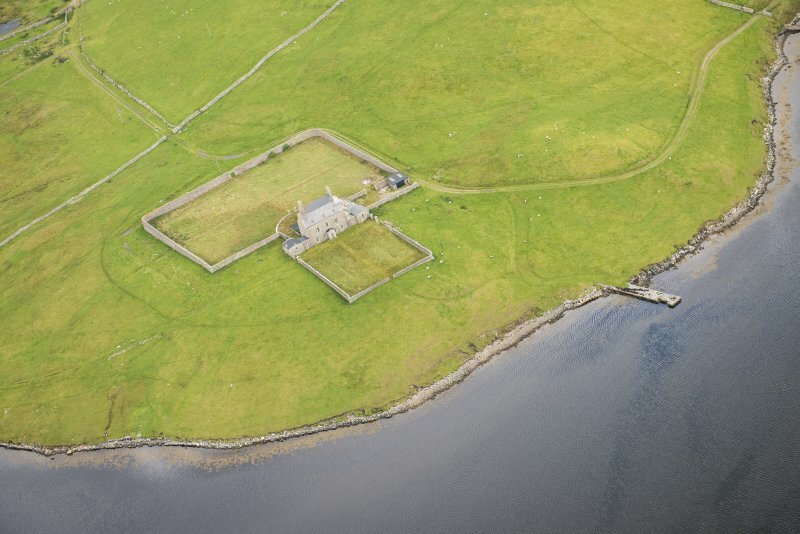 General oblique aerial view looking from the remains of the broch towards the Lairds House, taken from the NNW. 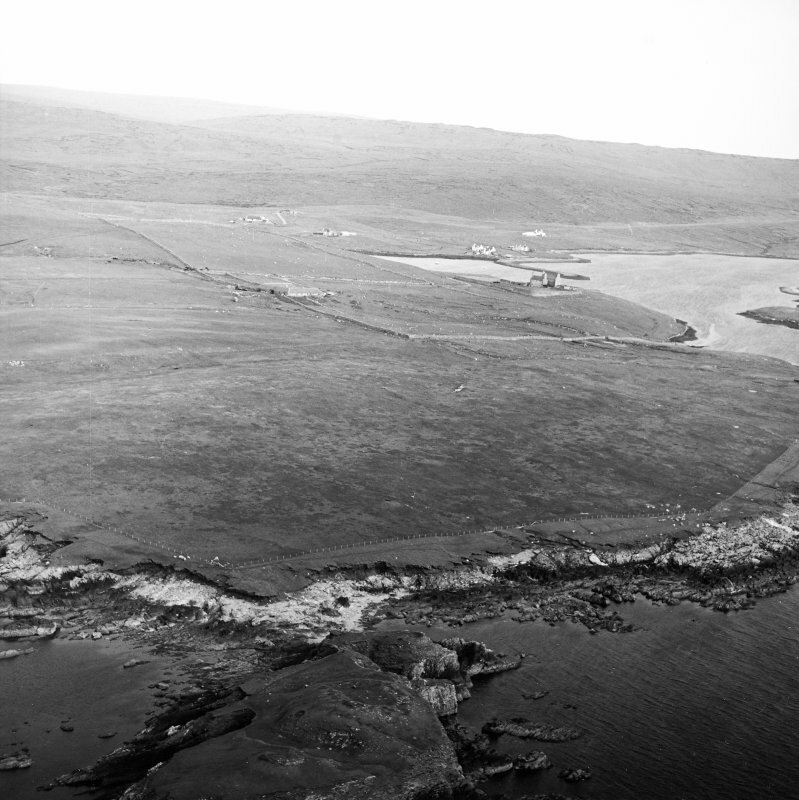 General oblique aerial view of West Sandwick House, North Haa, Unst, looking E.
General oblique aerial view of West Sandwick House, North Haa, Unst, looking N.
Oblique aerial view of West Sandwick House, North Haa, Unst, looking SE. 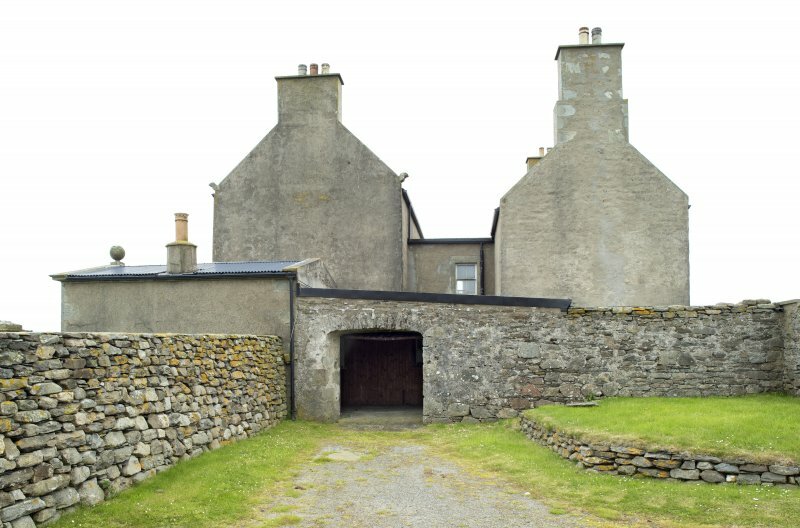 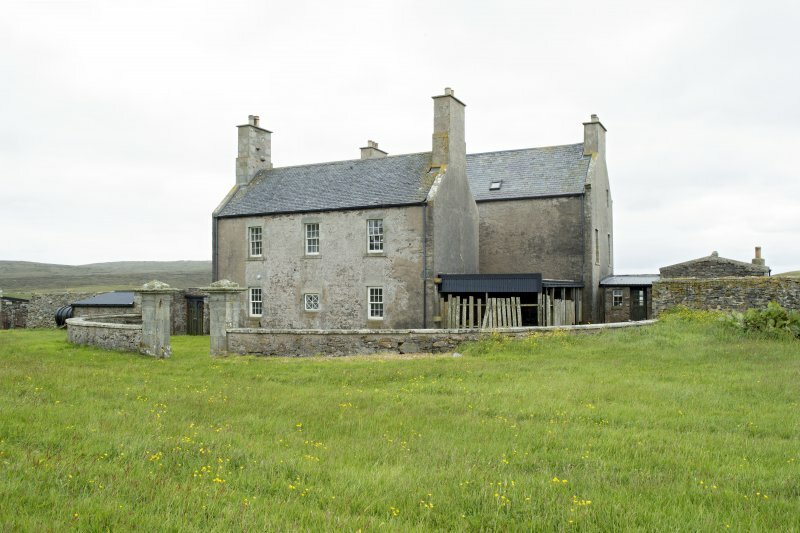 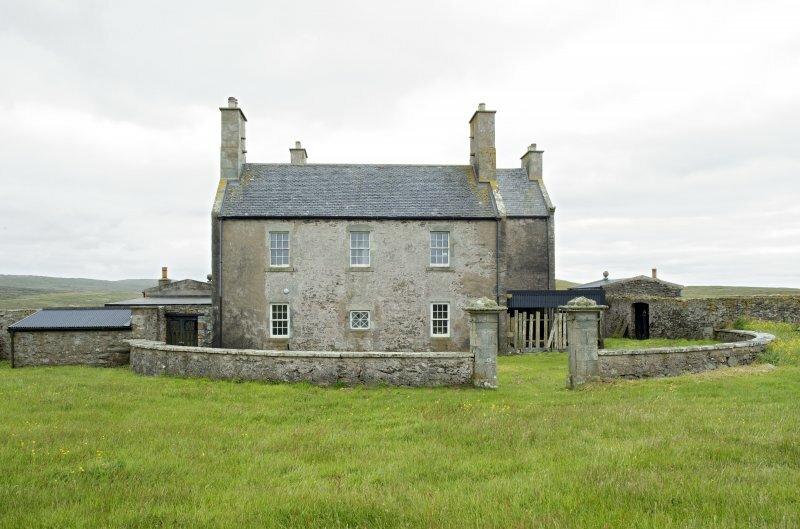 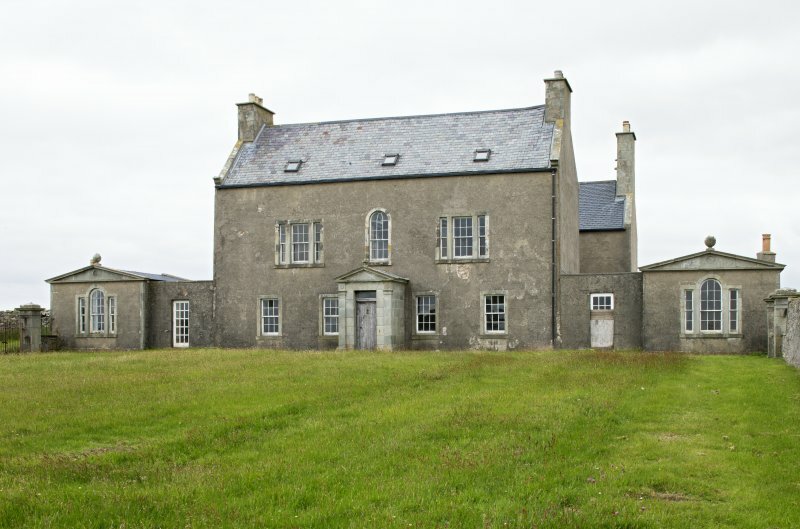 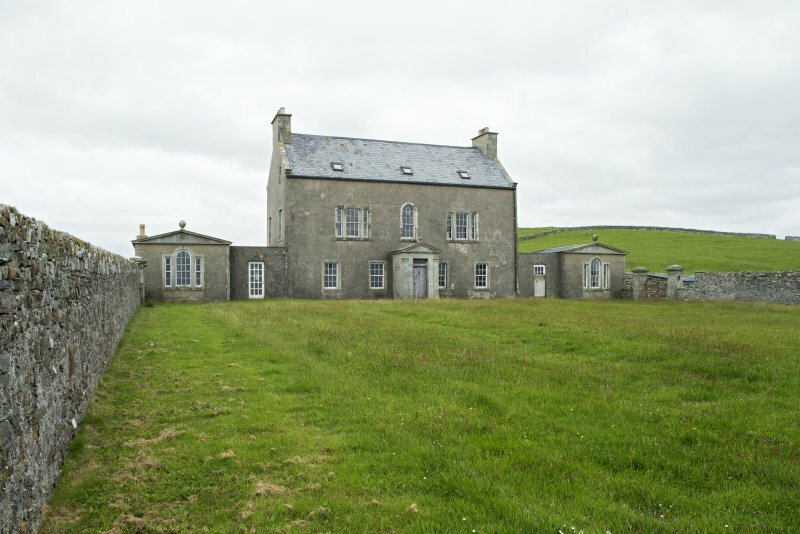 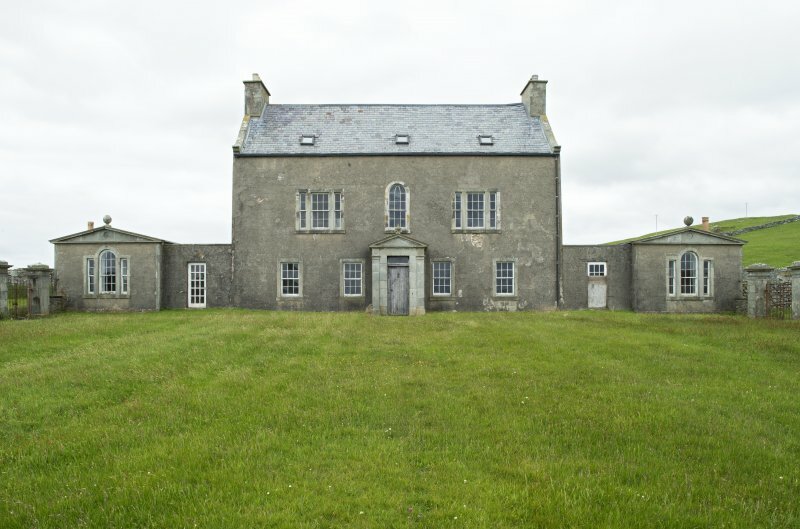 Laird's house comprising symmetrical 2-storey 3-bay remodelling of 17th century house, connected by central 2-storey link to 2-storey and attic 3-bay classical remodelling of later 18th century house to S; latter flanked to E and W by walls connecting to single storey single bay.